Hulk Hogan To Appear at Tonight's WWE RAW In Miami? WWE Hall of Famer Hulk Hogan, who was recently reinstated into the Hall of Fame and is considered to be back with the company, has been spotted in Miami. There's no word yet on if Hogan is scheduled to be at tonight's WWE RAW from the American Airlines Arena, but the timing is interesting. 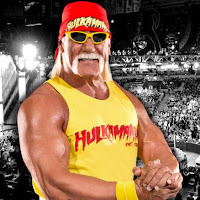 There's also no word yet on if Hogan has signed a new WWE deal but we will keep you updated.